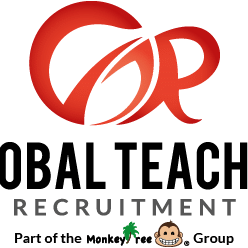 We are a UK based company called Global Teacher Recruitment, who recruit ESL teachers for positions in Learning Centres across Hong Kong, China and Macau. Our main client the moment are called Monkey Tree and are the most prominent Learning Centre providers in Hong Kong. They're currently expanding into China so the demand for teachers is increasing. We offer competitive salaries (between £23-£32k per year) and a great job package with optional accommodation, a permanent in-country support team and opportunity for career progression.